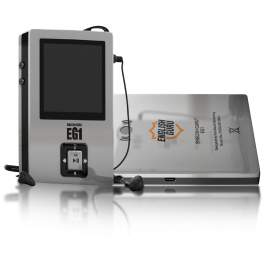 A smart electronic device that helps one learn fluent spoken English. Available in 6 different languages! English Guru is a smart electronic device that helps a student, a professional, a housewife, and people from all walks of life to learn excellent spoken English. 4-inch LCD display with lively visual experience. Portable; extremely easy to carry. 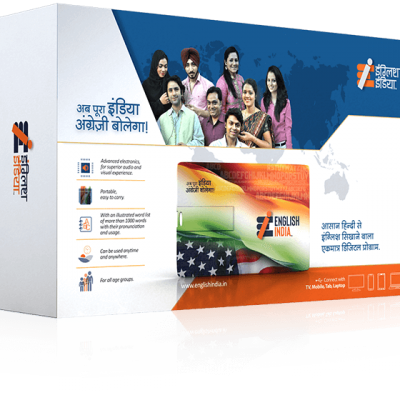 Multilingual (Hindi, Punjabi, Bangla, Kannada, Telugu and Marathi). High fidelity audio and lively video. Contains extensive word list (More than 1,000 words) with their usage.